One Long Island company, Visiting Counselors of New York, said problems finding clinical social workers fluent in both English and Spanish has meant it had to turn away some clients. Since launching his in-home counseling service for seniors and adults with disabilities in 2014, Russell Chertok has faced an ongoing dilemma: finding clinical social workers who are fluent in both English and Spanish. With only one Spanish-speaking social worker among his 24 full- and part-time independent contractors, Chertok’s company, Visiting Counselors of New York, has had to turn away about a dozen prospective clients, he said. With VCNY experiencing an annual revenue growth rate of 40 percent, which drove revenue last year to nearly $250,000, and serving clients from a wide range of referring organizations, including hospitals, private medical practices and Nassau and Suffolk counties’ Offices of the Aging and Adult Protective Services, the need for bilingual practitioners “is growing exponentially,” said Chertok, 32. VCNY is moving out of Chertok’s South Setauket home and into an office in Melville this month. According to some experts, Chertok’s challenge is not unusual among firms seeking bilingual social workers on Long Island, where hospitals and schools, with their myriad benefits, including health insurance and vacation time, tend to enjoy the hiring edge. But networking far and wide, including at local chamber of commerce gatherings, and reaching out to alumni associations and Hispanic organizations could lead Chertok to clinicians with the Spanish language skills he's seeking, experts said. 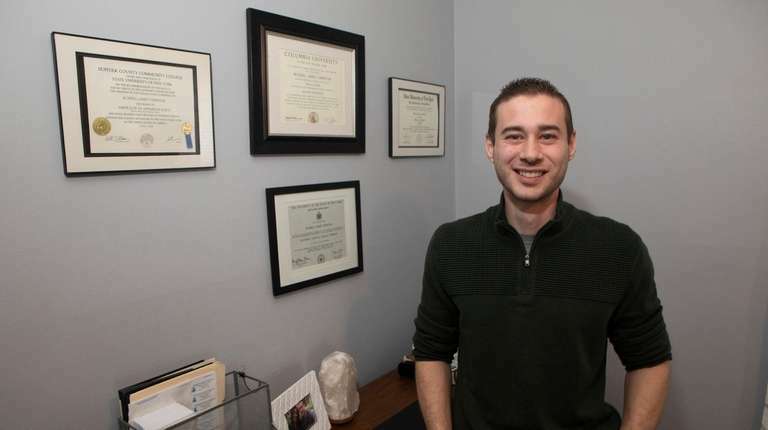 A licensed social worker, Chertok earned his undergraduate degree in social welfare from Stony Brook University and a master’s in social work from Columbia University. 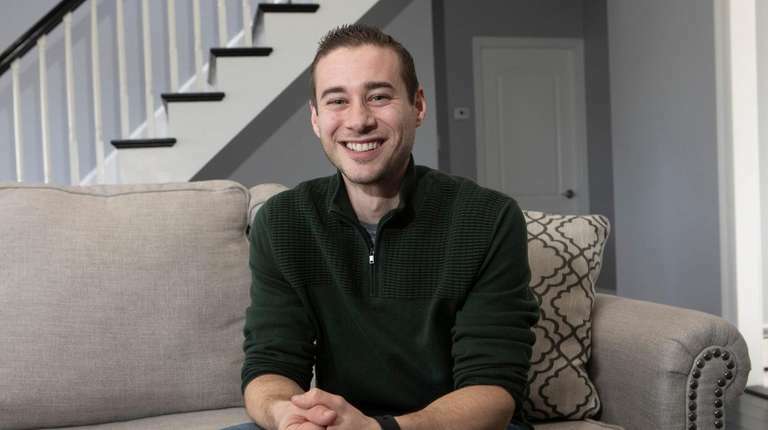 Before channeling his professional credentials into his own venture, Chertok had worked for an insurance provider, visiting clients in their homes for short-term counseling and helping them obtain services. Observing that homebound clients required longer-term counseling, he formed his own agency to provide it. On a weekly basis, VCNY now serves nearly 100 individuals, who range in age from about 50 to 101 and deal with issues such as grief, post-traumatic stress disorder, anxiety and depression. They need in-home therapy for reasons that include suffering from chronic ailments or a lack of transportation. The firm also provides case management assistance, such as advocating for additional hours for home health aides, and in mid-February it will take on a full-time social worker to administer a new counseling program for medically fragile children who aren’t necessarily homebound. Currently, Chertok publicizes VCNY’s need for bilingual practitioners on sites including Indeed.com, LinkedIn and a Facebook page for social workers he started. He also offers a bonus to his clinicians for viable referrals. Chertok said state regulations don’t help his situation. As a limited liability corporation owned by a social worker, his agency is prohibited from engaging a psychologist or other mental health professional outside of the social work field, he said. Plus, before he can hire practitioners, they must have received a master's degree in social work, passed the first of two state social work licensing exams and have three years of full-time clinical experience under the supervision of a psychologist, psychiatrist or clinical social worker. Gladys Serrano, CEO of the Hispanic Counseling Center in Hempstead, sympathizes with Chertok’s plight; she finds it difficult to replace bilingual social workers when they leave her organization even though her organization “pays well” — $50 an hour for part-timers. Chertok said his firm starts bilingual social workers at $52 an hour, but he doesn't think that it makes a "big difference" in trying to find them. Christel Colon, president of the Long Island Chapter of the Society for Human Resource Management and a human resource partner for Brookhaven National Laboratory, suggested Chertok contact organizations that serve Hispanic workers, including La Fuerza Unida, a multiservice agency aiding Spanish-speaking individuals on Long Island, the Long Island Hispanic Chamber of Commerce and the Commission on Human Rights in Nassau and Suffolk. “Cast a wide net because you may not be fishing in the right pond, but one fish may know another,” Colon said. Chertok gave Colon’s recommendations an immediate thumbs-up. “That’s the right way to go,” he said, envisioning those organizations emailing their contacts about VCNY’s job opportunities. While some experts suggested using translators, Chertok nixed that idea. He said professional translators “aren’t conducive” to the kind of work his social workers do with clients as they fully explore their feelings. And there would be privacy concerns under the Health Insurance Portability and Accountability Act (HIPAA) law, although a client could sign a waiver. Using clients’ relatives or friends would be a Pandora’s box, Chertok said, because professional ethics frowns on bringing in a friend or family member for translation duties. Such translators could potentially breach confidentiality or be an added source of tension for the client, he added.